Most common in attics and sometimes wall can be either a loose fill or blown-in material primarily made of recycled newsprint or denim. Can be used in all areas of the home including attic, walls, crawl space and rim joist. It’s made up of extremely fine glass fibers and can be in rolls called loose fill/batts. Made to be put between floor joists but also allows for major air flow leading to potential problems like uncomfortable rooms, drafts, cold floors and high energy bills. Least expensive but often causes the most problems. Made of organic chemical compounds derived from petroleum extracts and can be used in open spaces like attics or walls during construction. 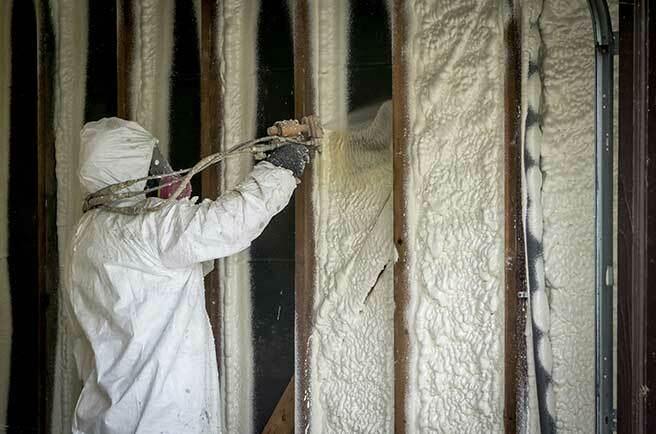 Spray foam is further divided into open/closed cell foam insulation. Foam insulation can be injected into closed cavities like closed walls. Open and closed fills in openings and cracks. No need to tear down drywall or existing insulation. Attics, walls, basements, crawlspaces, bonds/rim joist, floors, ceilings, garages, sound attenuation, air sealing, and insulation removal. At Dana Insulation, we understand that every home or business is unique and offer a wide range of products and services. Utilizing our 40+ years of experience and expertise we will recommend the best solution to suit your project needs. "Just wanted to drop you a brief note to thank you and your technicians for doing such a wonderful job on cleaning and re-insulating my daughter’s attic. Understanding the extreme allergies my grandchildren have; your technicians were very considerate, careful and neat in getting the job completed. Thank you again for the excellence in service!" “The installers were prompt, professional, friendly, and courteous. They did a great job and did not leave any mess. I highly recommend!" I highly recommend Dana Insulation. Tom is knowledgeable, sincere, and very helpful. His crew is awesome and all about getting the job done in a timely manner. Working with Tom made the process far less complicated, thanks to his patience and honesty. I can’t say enough good things about the service, the products, the price, and professionalism. This company is excellent. Starting with Tom Mackey who is the most professional sales person who has been at my house throughout all the renovations we have done. He was knowledgeable and very respectful. The crew who came to do the work were of the same quality. Their pricing was also very competitive. If you answer “yes” to any of the questions please contact us for more information on how we can help! 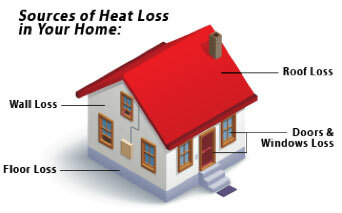 Is your home too hot and stuffy in the summer? Is it too cold in the winter? Are your energy bills higher than expected? Do your allergies flare up when you are in your house? Is the upper floor 5-10 degrees hotter than the main floor in summer… colder than the main floor in the winter? Are some rooms in your home a different temperature than others, even on the same floor? Do you feel drafts in certain rooms? Does your air conditioner work overtime in the summer? Does your furnace seem like it never gets a break in the winter? Do you keep fidgeting with your thermostat to keep your home at a comfy temp? Are outside noises such as lawn mowers, barking dogs, and traffic bothersome when you are inside? Does your roof collect dangerous icicles and ice dams in sub-freezing weather? Are you using portable heaters, extra blankets, and wearing an extra later of clothing during the winter months? Are you turning on fans, buying window A/C units, and sleeping without sheets or blankets during the summer? Are you considering getting a new A/C unit, furnace or windows with the hope that it will help you feel more comfortable in your home? Are you able to see the floor joists in the attic? 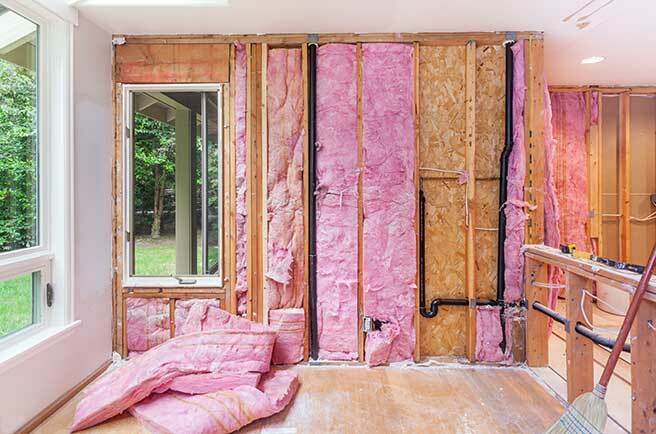 Was your home built before 1980 when insulation was first required in new homes? 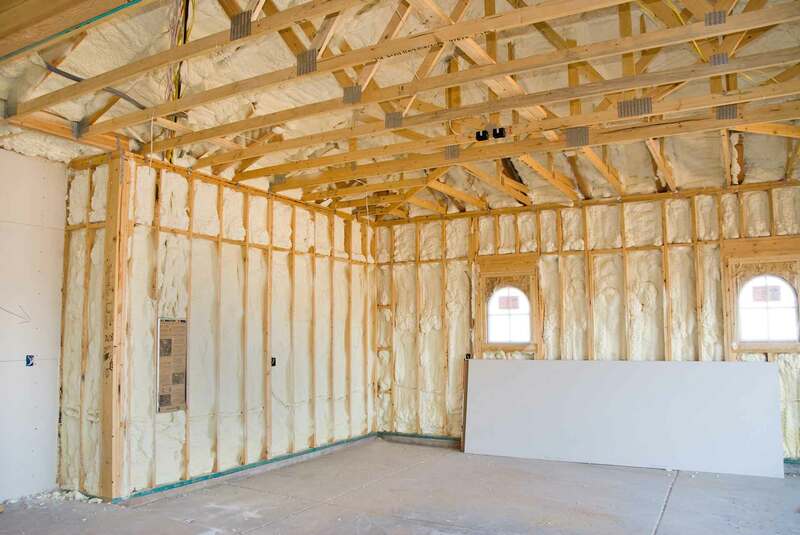 According to the U.S. Department of energy, 90% of homes are under-insulated. Most importantly it SAVES MONEY! On average, utility bills DECREASE up to 35%. Maximize your homes comfort level year round! 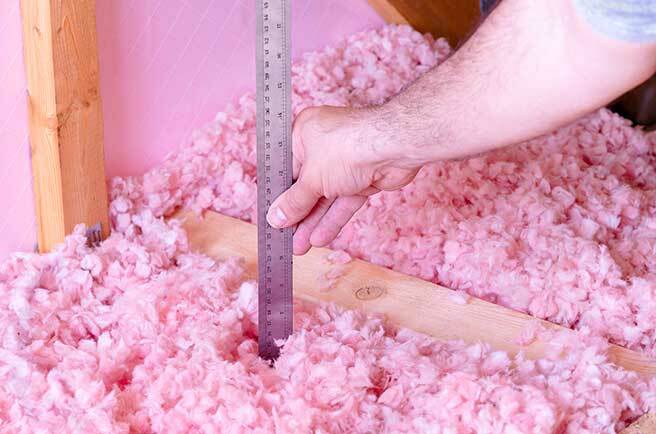 Should you re-insulate your home? You think your home is insulated, but is it? Upgrade your home with energy efficient insulation, one of the quickest energy-payback projects you can do, resulting in lower heating and cooling bills and increased comfort. Even if you live in an older home, there is no reason you need to shiver through the winter or roast in the summer. If your house doesn’t have enough insulation – common in homes built before 1980, when energy awareness began to take hold – bringing it to current standards will make it more comfortable all year long. Along with, saving money on your heating and cooling bills. Heating and cooling account for 50-70% of the energy used in the average home! Proper insulation and air sealing are the MOST COST-EFFECTIVE and ENERGY EFFICIENT ways to save money and energy.